DEARBORN, Michigan – For the fourth year in a row, Dearborn has achieved a prestigious rating recognizing its ability to foster entrepreneurial growth and economic development in the annual eCities study conducted by researchers at iLabs, University of Michigan-Dearborn’s Center for Innovation Research. Dearborn was one of just 16 communities across the state to receive a five-star designation in the study. 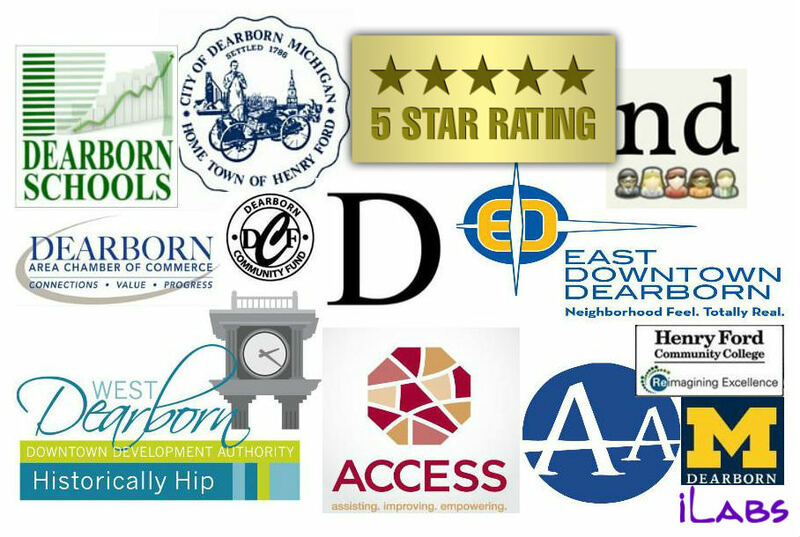 Dearborn has received a five-star honor each year since 2011. The City also earned a commendable four-star designation in 2010. “We appreciate this honor, which recognizes that we are actively engaged in promoting Dearborn as an outstanding place for businesses to invest,” said Mayor John B. O’Reilly, Jr.
Dearborn and the other 15 municipalities selected as five-star communities spent a combined $2.6 million on economic development, had more than $140 million in additions to assets in the past year, and had more than $19 billion in combined real and personal property values. Dearborn was honored along with the 33 other communities recognized by iLabs at a ceremony at UM-Dearborn on Nov. 13. Research conducted by the eCities study surveyed 83 communities from 30 Michigan counties that are home to 26 percent of the state’s residents and 33 percent of its college graduates. The annual eCities project, which began in 2007, uses data supplied by participants, as well other public records to assemble a six-factor, 32-item index of entrepreneurial activity, examining factors like clustering, incentives, growth, policies, community and education. The study’s focus on entrepreneurship reflects its importance to the expansion and diversification of Michigan’s regional economies and the impact small businesses have on job creation.